The Buffalo Bills added some competition to their roster at defensive end Wednesday ahead of the NFL draft. 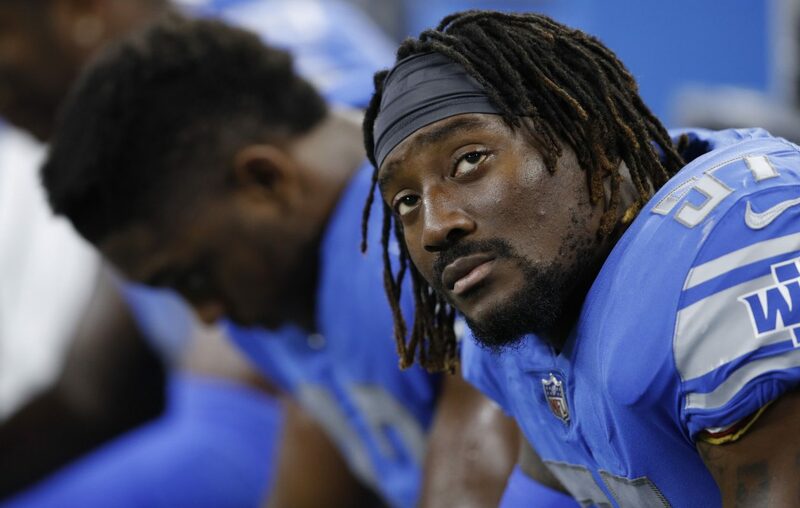 The team announced a one-year contract with former Detroit Lion Eli Harold. A 6-foot-3-inch, 243-pounder, Harold spent the first three seasons of his pro career with the San Francisco 49ers before spending last season with the Lions. He entered the NFL as a third-round draft pick out of Virginia. Harold, 25, has appeared in 61 career games, with 93 tackles and nine sacks. That includes a two-sack performance against Tom Brady and the New England Patriots in Week 3 of the 2018 season. Harold figures to compete with Eddie Yarbrough for a spot behind Jerry Hughes, Shaq Lawson and Trent Murphy at defensive end.